That is not correct – the compiler (XE’s at least) can infer the type in simple cases like this, so my original code stands. Then you can delete my second comment, thanks 😉 Okay… I haven’t know this. Is there any documentation for this? I never heard or read about this! Well I first found out about it myself when looking at demos that used TValue.From, but it’s in the docs too: ms-help://embarcadero.rs_xe/rad/Declaring_Generics.html#Parameterized_Methods for DExplore or http://docwiki.embarcadero.com/RADStudio/en/Declaring_Generics#Parameterized_Methods on the web. Please fix my last comment, because the type is missing after the second .From. There will be a filter for the squared brackets Thanks! now this is nice!! has many applications, especially when one needs to clone an object visible in one form, to another form, simply awesome!! You can get rid of the XXXAsPointer thing with a hardcast to TObject which is valid because you have the class constraint (which should indeed tell the compiler that T is a TObject and therefor compatible with Pointer). “Of course it ate the parameter” – I’m probably being dense, but where does the parameter go? Presumably T should be a placeholder for the concrete type of the thing itself, rather than a ‘parameter’ to the type…? Regarding the cast, thanks. I’ve become vary wary of casts on type parameters though – I always seem to be just a short distance away from an internal compiler error with them. Can I take it casting a class type parameter to TObject definitely works in your experience though…? In my current project, I have implemented something similar, but limited it to our framework classes, which is basically a set of node and list classes that allow building data trees from relational data . Since those classes pull data from db tables, I want to have a mirror image of each object instance created on every load and save of content – so that I can determine if the object contents are changed before I attempt to save. I.e. RootInstance.IsDirty traverse the list of lists of lists (and so forth) to determine if anything have changed. This allows me to create smart GUI that have save buttons that light up only when there is an actual change of content in the data tree, after changes or undo’s, and it also limits the database writes to only those rows that actually have a change. Since some objects contain lazy-loaded denormalized content or change related timestamps, I also need to have a NoCopy attribute that can be put on properties that shouldn’t be compared. But – I have found that using RTTI to compare the two instances – the working object, and it’s shadow copy – is very costly when you have to compare hundreds or thousands of objects. Since I am limiting the clone/compare functionality to this specific class hierarchy, I have found a way to optimize it. I have to use RTTI to enumerate the properties to get at their values – I can’t get away from that, but I found out that I can get away with checking each property’s attributes only once. I decided that since the RTTI property and attribute metadata doesn’t change during runtime, I can create a lookup list class variable that hold a NoCopy list for all the class types. The first time a class type is compared, the attributes for each property are traversed and saved in that lookuplist. Since the order of properties is deterministic, I can get away with simply tracking the index of the properties I am looking at, and use an array of booleans to store the Copy/NoCopy state which tell if I should copy or compare the current property. I was wondering what you were using to display code? and how it was added to your wordpress blog. I have one @ joemele.wordpress.com and the technique I found on the net was bad. IIRC that post was written using XE. I’ll have a look at D2010 later for you. 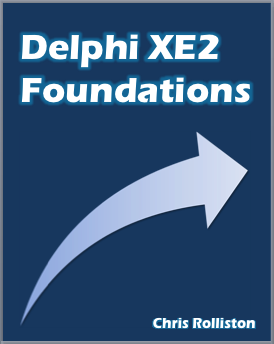 I saw the Delphi example was removed in 2012. I’ve reinstated it with a note about why Delphi’s reflection is notable. I’ve just tried this in Delphi 10 Seattle and it works well on cloning buttons but then causes an invalid pointer operation when exiting the program. I’ve tried Freeing the cloned buttons one by one and it seems a second cloned object overwrites part of the first when freed causing an exception. Have you seen anything like this? Any thoughts on how to avoid this clean up problem would be most appreciated.